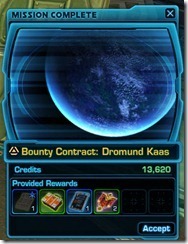 You can do a Henchman Bounty Contract once per day per character. You have a selection of six planets to pick from. 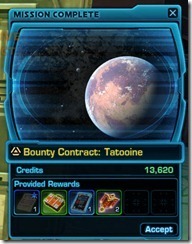 Each completed Bounty Contract will reward you with a Completed Bounty Contract, which is tradeable. Once you have 5 Completed Bounty Contracts on the same character, you can unlock Kingpin contracts. 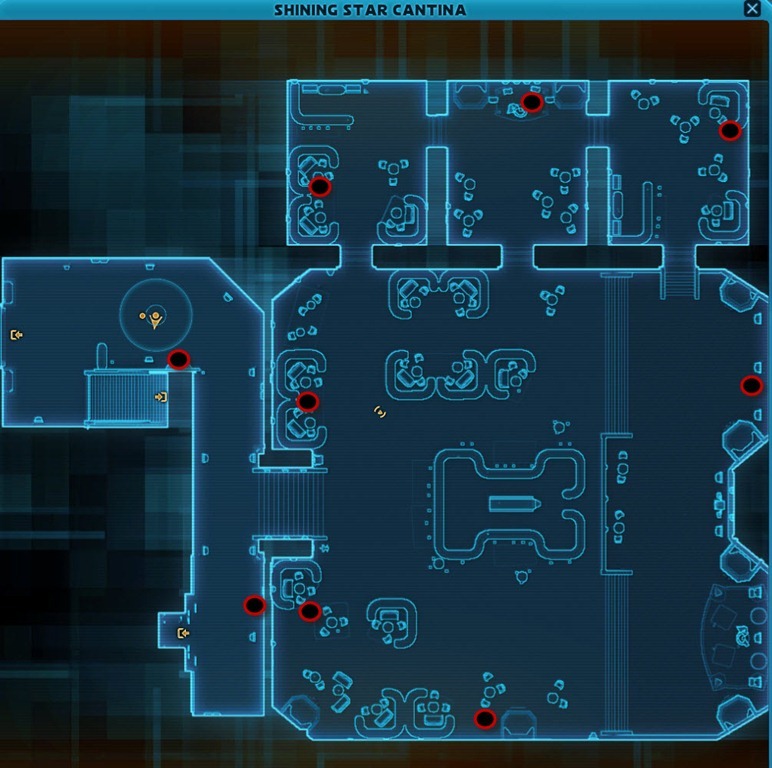 You will be provided with a standard Investigation Probe but you can also purchase Friendly Drink or Interrogation Probe for 800 credits from the Cartel Bazaar mission terminal and various planets that are slightly more effective than the Investigation Probe. 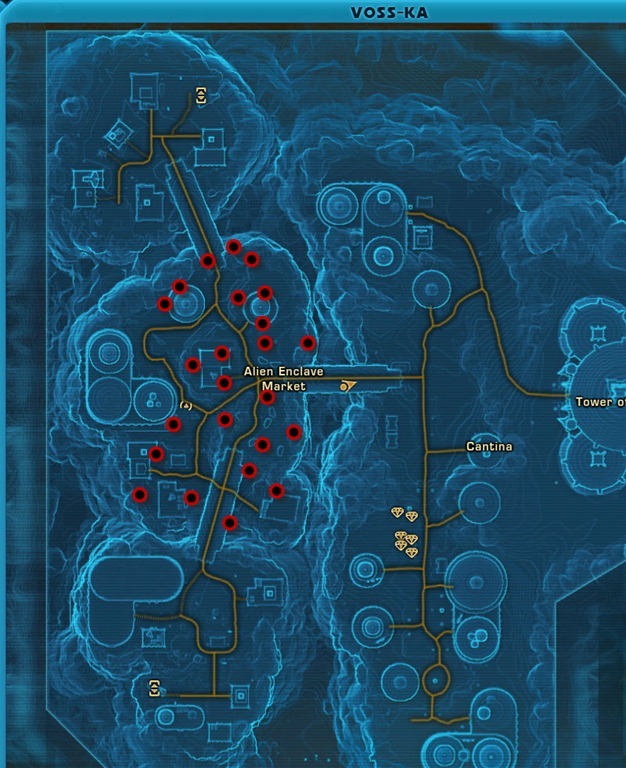 If the Shady Characters decide to call some Armed Thugs to attack, check their corpses after to see if you can loot Underworld Information, which appear as a blue beam. 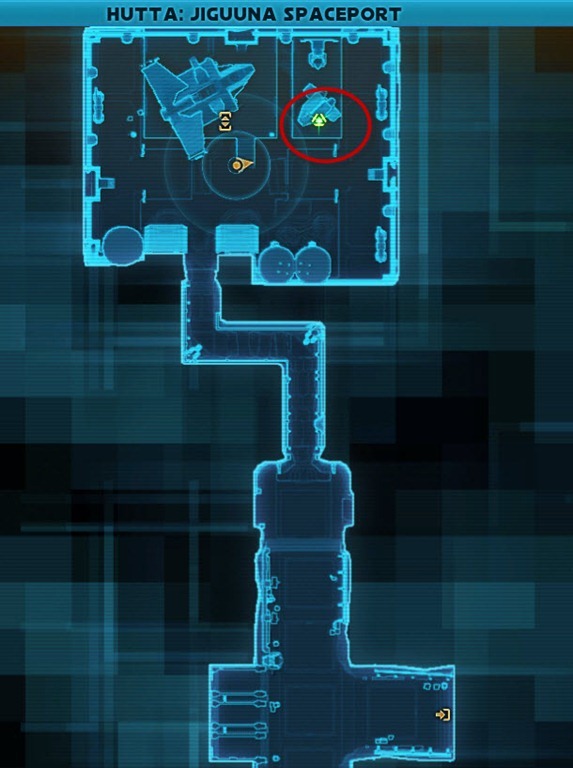 He can be found right next to the landing shuttle in Hutta. These guys are mostly outside the cantina (it is useless to go inside as there is only a few Shady Character there). They despawn after you interact with them but they do seem to respawn fairly quick. Use the investigation probe on them. Some of them will give you the information you need while others will send three Armed Thugs to attack you. 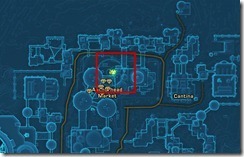 Go to Nemro’s Palace and you will find your Point of Contact by clicking on a table, after a short conversation, you will progress to the next step.You will be given a green BBA reputation item as a reward. 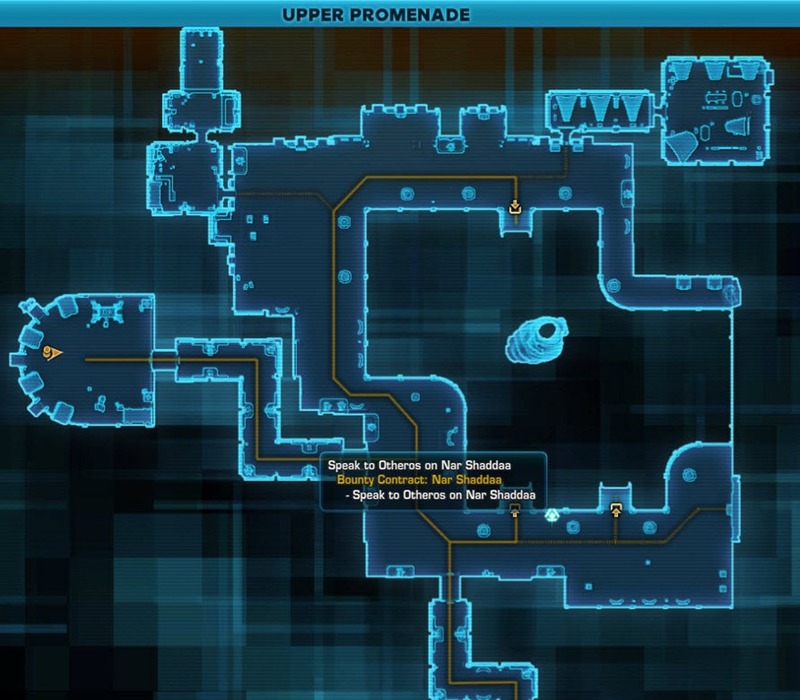 The contact you meet is random and there are at least 5 NPCs you can encounter all with different dialogue options. 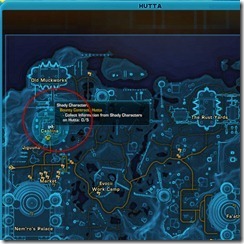 This step is a bit randomized, you get to locate different targets that are located in different parts of Hutta. 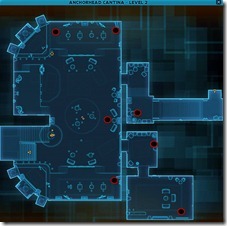 To spawn the target, click on the Rendezous Beacon at the location marked on the map. 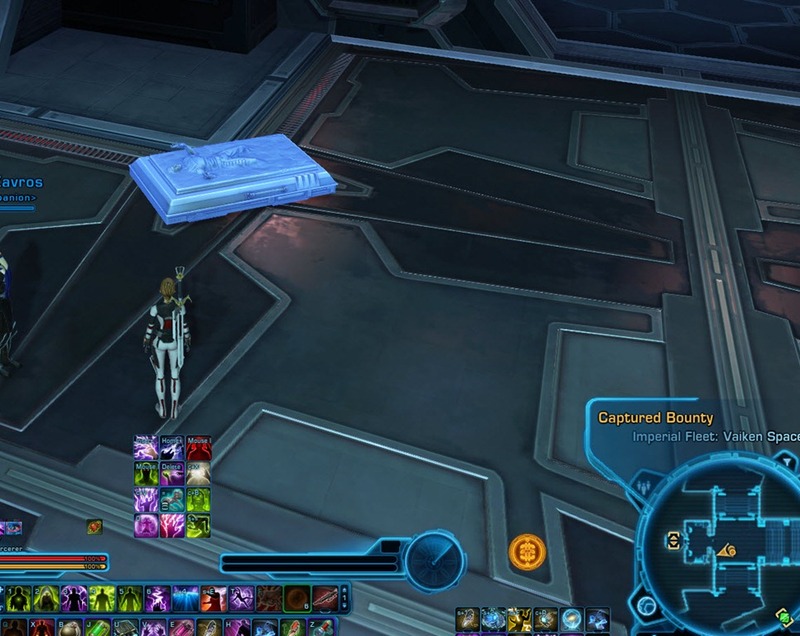 If you wish to capture the bounty instead of killing them, press the Carbonite Grenade that is given to you as a quest item when the target is <10%. Trooper mob, does a lot of Grav Rounds/Charged Rounds/Hail of Bolts. Deals a lot of damage. Spawn two adds. 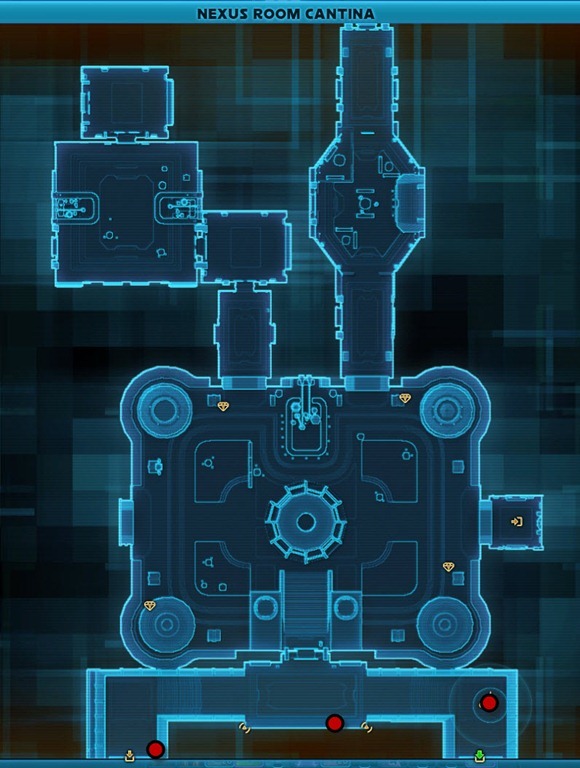 This little droid does a lot of knockdowns, stuns etc. Breaching Blast is an attack with a knockdown at end. 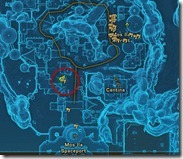 Alpha Strike is a red circle placed on you that will knock you into the air. Mini Missile Barrage deals quite a bit of damage. 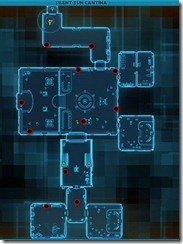 Spawns two Guardian Probe adds that deals AoE damage and grapple you (should be killed ASAP). Scoundrel mob, stealths and use Kolto Probe to heal (interrupt if possible). Spawn two trooper adds that may try to CC you. T’rubba is a marauder/sentinel type that summon two adds with Orbital Bombardment. Make sure to kill these two adds ASAP or you will have a bad time. Standard Marauder mob with a nasty knockback. Summon two adds that casts a lot of Explosive Probe and Suppressive Fire AoE attacks. Applies a debuff with the Weakening Shout ability that increase your damage intake by 10% per stack. 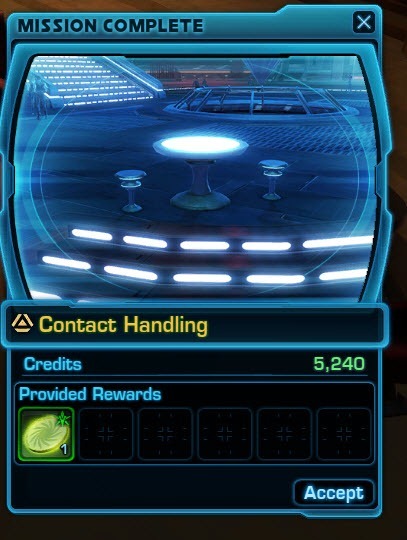 Lo’tar will give you an item that you can port back to the fleet and return to the Cartel Bazaar to complete the quest. 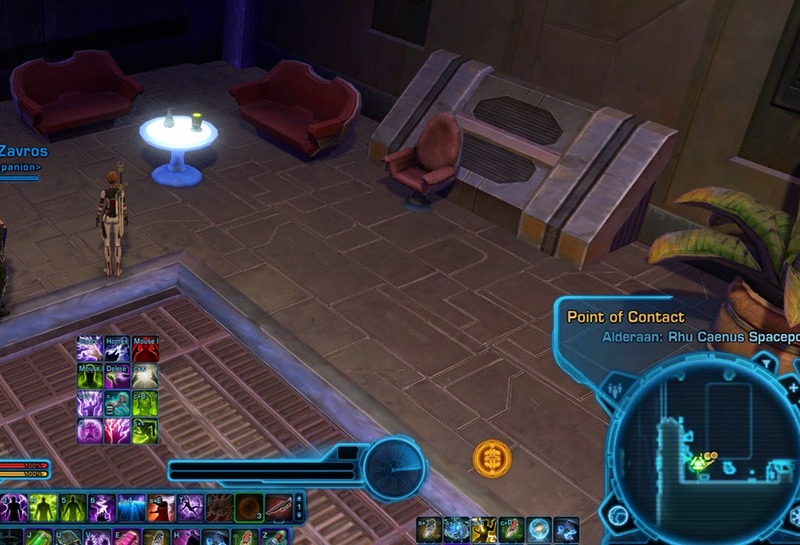 Like on Hutta, most of the Shady Characters are outside the cantina but you can find three of them right inside the cantina at the entrance. Look for alleys, corners etc as those are where these Shady Characters tend to stand. 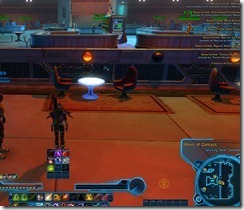 Go to Nexus Room Cantina and you will find your Point of Contact by clicking on a table, after a short conversation, you will progress to the next step.You will be given a green BBA reputation item as a reward. The contact you meet is random and there are at least 5 NPCs you can encounter all with different dialogue options. 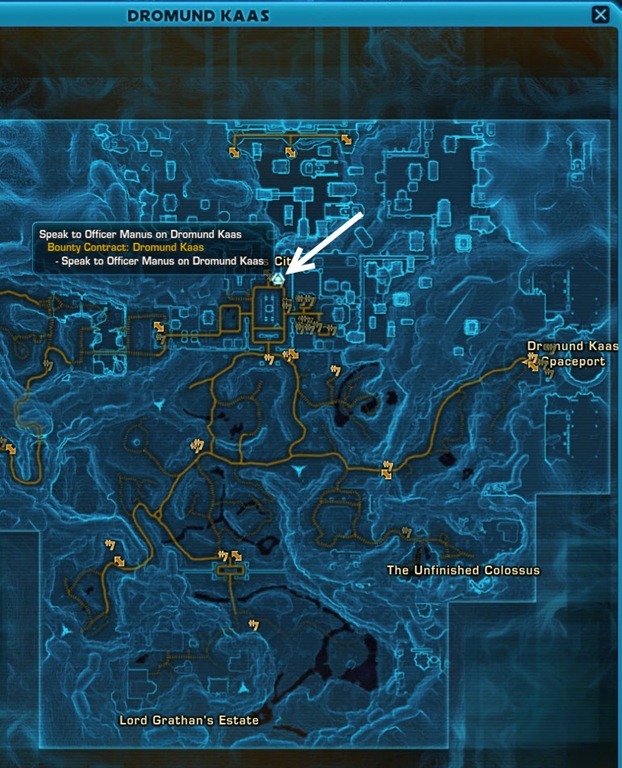 This step is a bit randomized, you get to locate different targets that are located in different parts of Dromund Kaas. 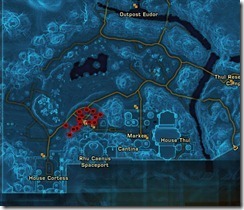 To spawn the target, click on the Rendezous Beacon at the location marked on the map. If you wish to capture the bounty instead of killing them, press the Carbonite Grenade that is given to you as a quest item when the target is <10%. This little droid does a lot of knockdowns, stuns etc. Breaching Blast is an attack with a knockdown at end.Alpha Strike is a red circle placed on you that will knock you into the air. Mini Missile Barrage deals quite a bit of damage. 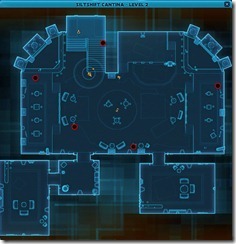 Spawns two Guardian Probe adds that deals AoE damage and grapple you (should be killed ASAP). 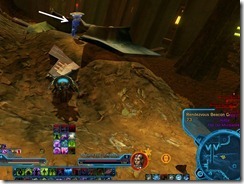 Scoundrel mob, stealths and use Kolto to heal (interrupt if possible). 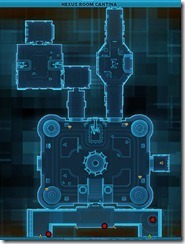 Spawn two adds that deal abit of AoE damage. 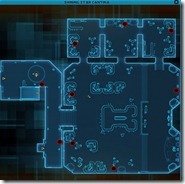 Novane will Carbonize you for a short duration, which can be removed with a stun breaker. In addition, he summon 2 adds that will place 10 stacks of Kolto Shell on him that heals him if he takes damage. Be sure to kill these two adds ASAP. Zinda Kent is a sniper that summon two adds called Blade Sisters with the usual Spinning Blades attack. Beware of her knockback if you get too close to her. Interrupt her Artillery attack and past 50% interrupt her Terminate attack that deals massive damage. 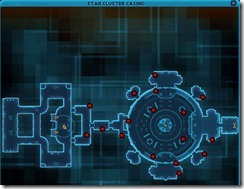 All of the shady characters are inside the Star Cluster Casino on the upper floor. 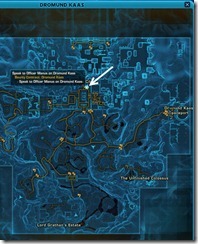 Here is a map to help you locate them. 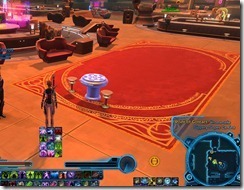 Head to the cantina on Lower Promenade and click on this interactable table called Point of Contact. After a short conversation, you will progress to the next step.You will be given a green BBA reputation item as a reward. The contact you meet is random and there are at least 5 NPCs you can encounter all with different dialogue options. 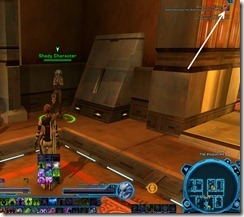 This step is a bit randomized, you get to locate different targets that are located in different parts of Nar Shaddaa. 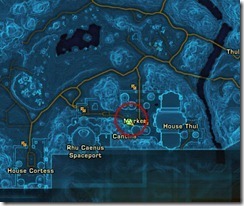 To spawn the target, click on the Rendezous Beacon at the location marked on the map. 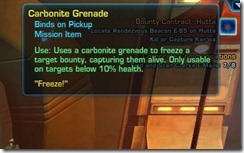 If you wish to capture the bounty instead of killing them, press the Carbonite Grenade that is given to you as a quest item when the target is <10%. 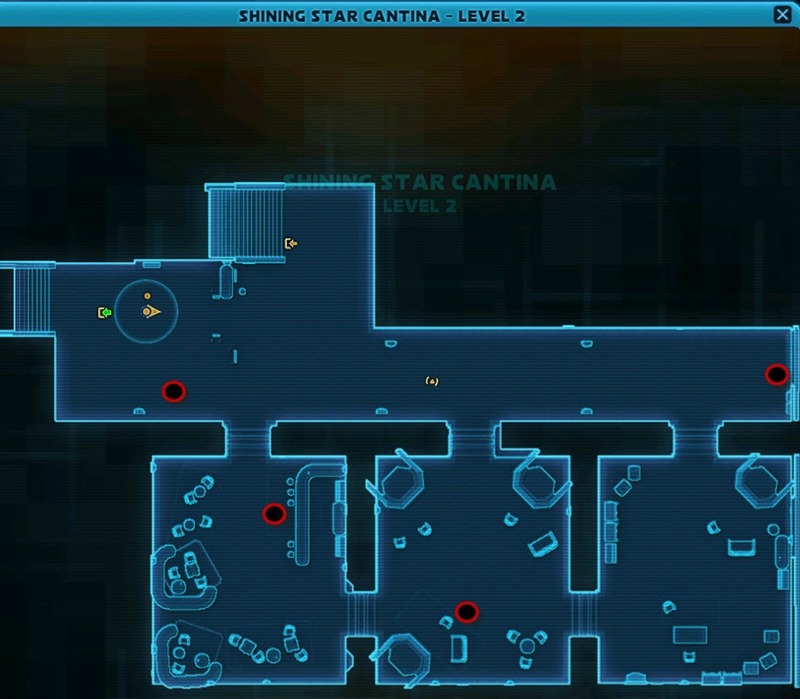 You can find three Shady Characters outside the cantina, but most are inside the cantina on the two levels. 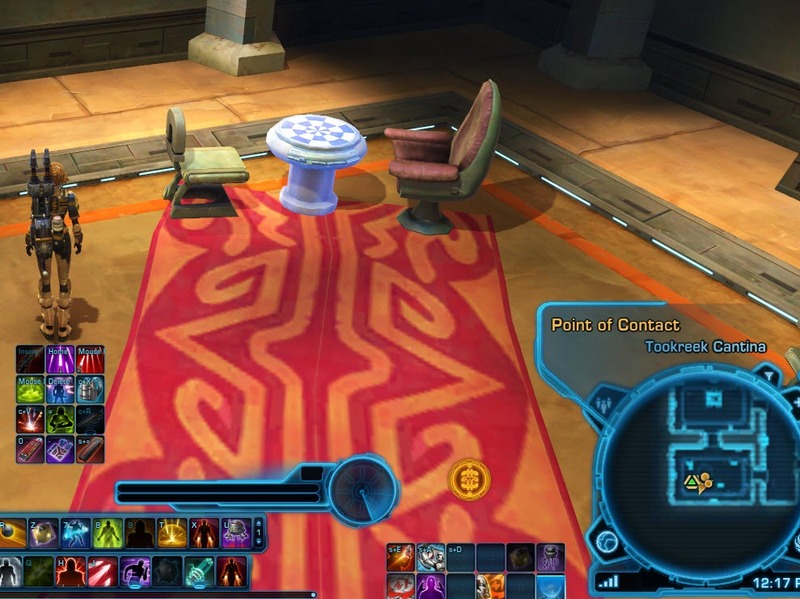 Head to the cantina in Outpost Varath and click on this interactable table called Point of Contact. After a short conversation, you will progress to the next step.You will be given a green BBA reputation item as a reward. The contact you meet is random and there are at least 5 NPCs you can encounter all with different dialogue options. 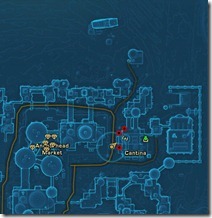 This step is a bit randomized, you get to locate different targets that are located in different parts of Tatooine. 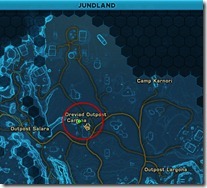 To spawn the target, click on the Rendezous Beacon at the location marked on the map. 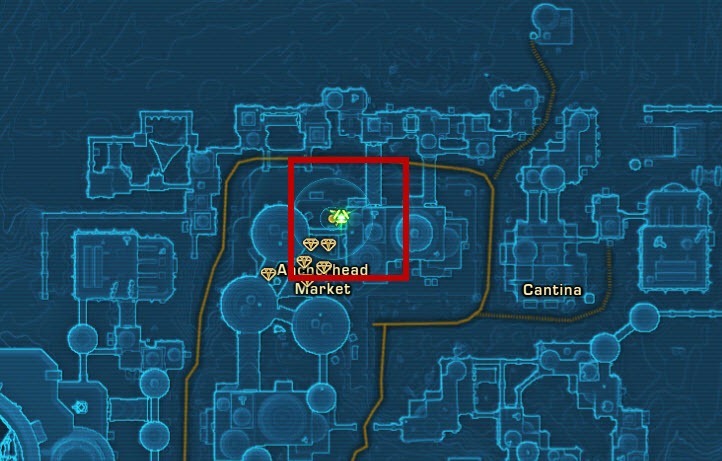 If you wish to capture the bounty instead of killing them, press the Carbonite Grenade that is given to you as a quest item when the target is <10%. 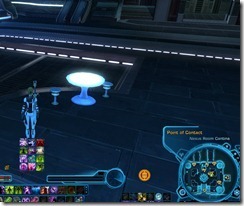 Head to inside of the spaceport and click on this interactable table called Point of Contact. 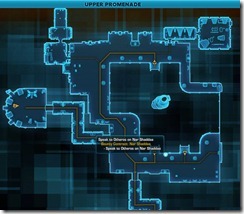 After a short conversation, you will progress to the next step.You will be given a green BBA reputation item as a reward. The contact you meet is random and there are at least 5 NPCs you can encounter all with different dialogue options. 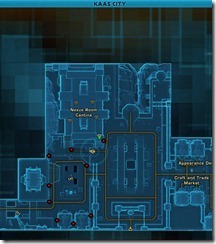 This step is a bit randomized, you get to locate different targets that are located in different parts of Alderaan. 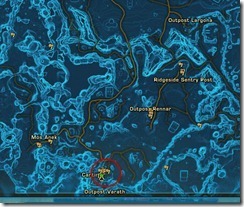 To spawn the target, click on the Rendezous Beacon at the location marked on the map. 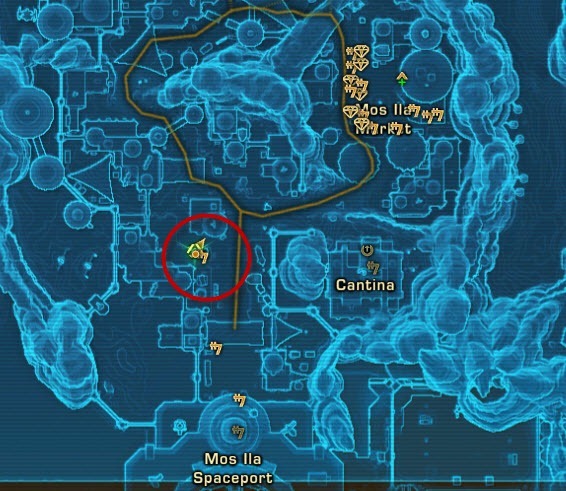 If you wish to capture the bounty instead of killing them, press the Carbonite Grenade that is given to you as a quest item when the target is <10%. 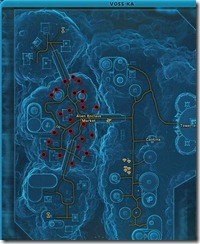 You can find three Shady Characters all over Voss-Ka, consult the map if you need. 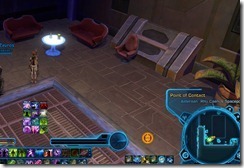 Head to inside of the cantina and click on this interactable table called Point of Contact. After a short conversation, you will progress to the next step.You will be given a green BBA reputation item as a reward. The contact you meet is random and there are at least 5 NPCs you can encounter all with different dialogue options. 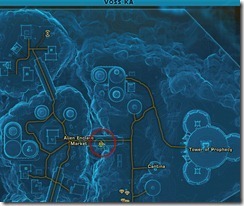 This step is a bit randomized, you get to locate different targets that are located in different parts of Voss. 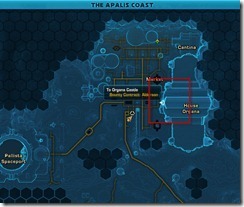 To spawn the target, click on the Rendezous Beacon at the location marked on the map. 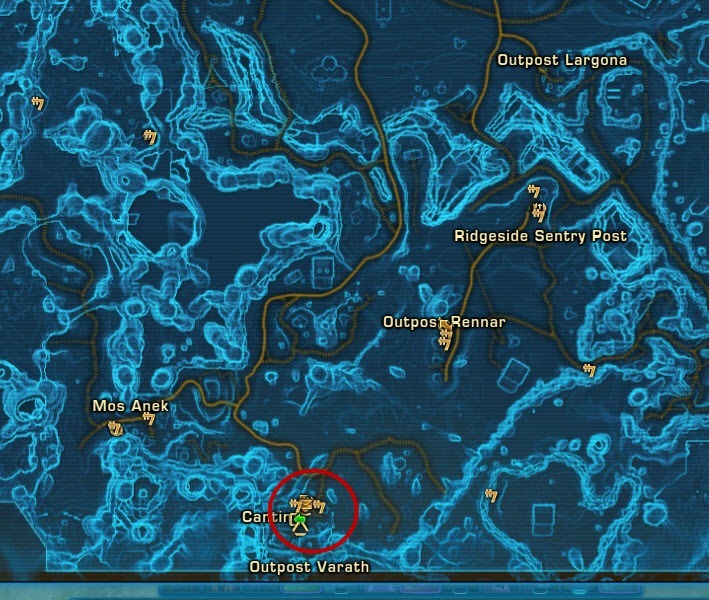 If you wish to capture the bounty instead of killing them, press the Carbonite Grenade that is given to you as a quest item when the target is <10%. Sogan Sur have a Fire Bomb attack that you should interrupt as otherwise it places a flame circle on the ground that deals a lot of damage. He also summon two adds that do a lot of knockback/stun so kill them ASAP. 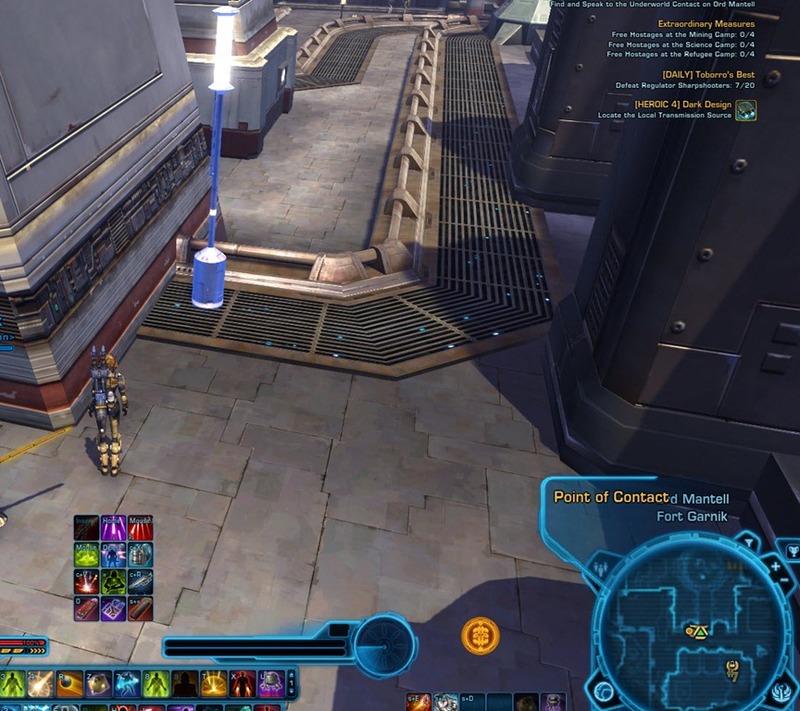 A bit north of the cantina in Fort Garnik is a lamp post that serves as a Point of Contact. After a short conversation, you will progress to the next step.You will be given a green BBA reputation item as a reward. The contact you meet is random and there are at least 5 NPCs you can encounter all with different dialogue options. 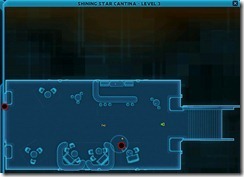 These Shady Characters are located inside the Silent Sun Cantina in Black Sun Territory. 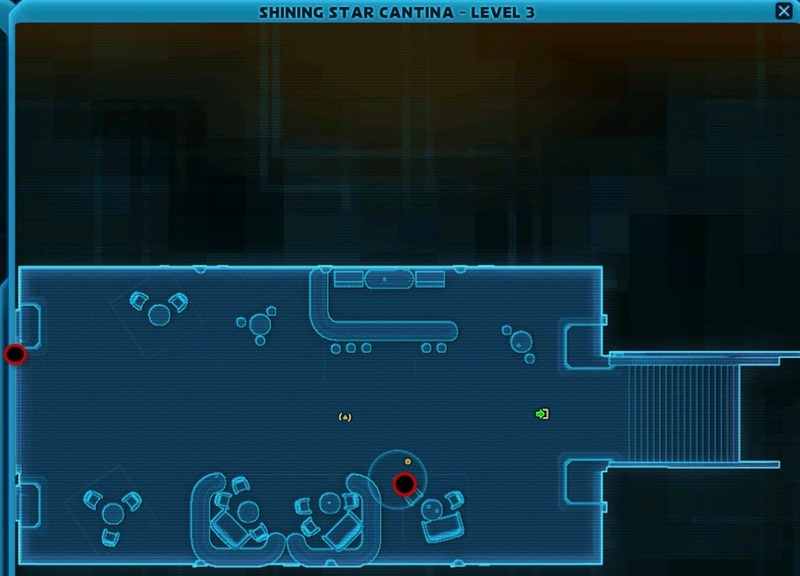 The Cantina have two levels, so be sure to check both. 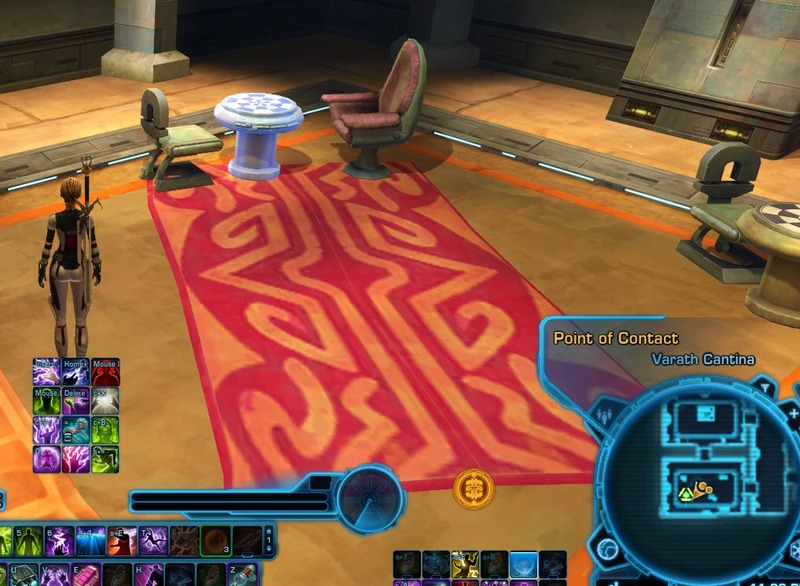 The contact is conveniently located in the same cantina. Interact with the table marked as Point of Contact. 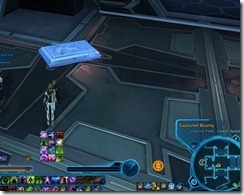 After a short conversation, you will progress to the next step.You will be given a green BBA reputation item as a reward. The contact you meet is random and there are at least 5 NPCs you can encounter all with different dialogue options. 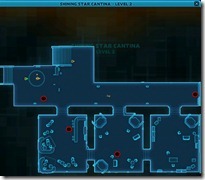 All of the shady characters are inside the Club Vertica on the upper floor. 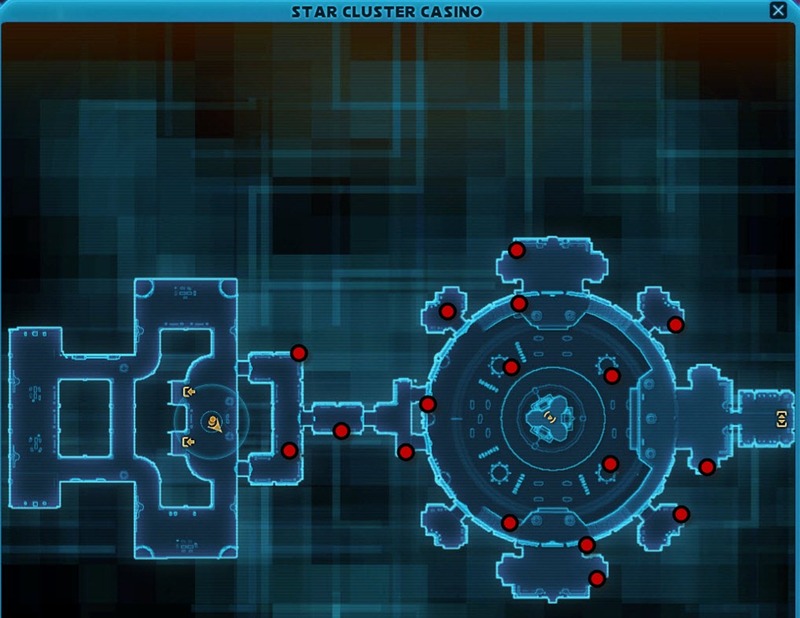 Here is a map to help you locate them (same layout as the Star Cluster Casino so that map is used instead). 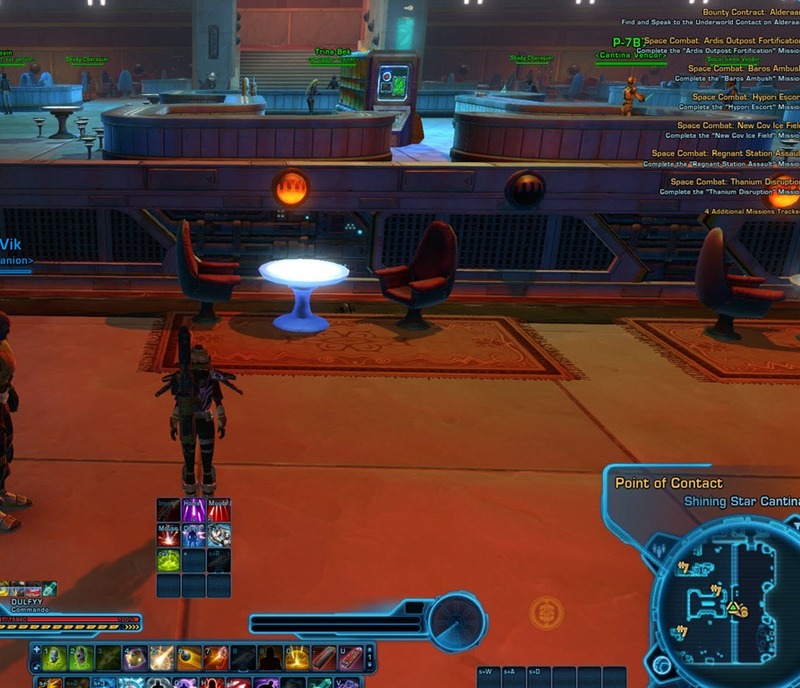 Head to the cantina in Dreviad Outpost and click on this interactable table called Point of Contact. After a short conversation, you will progress to the next step.You will be given a green BBA reputation item as a reward. The contact you meet is random and there are at least 5 NPCs you can encounter all with different dialogue options. 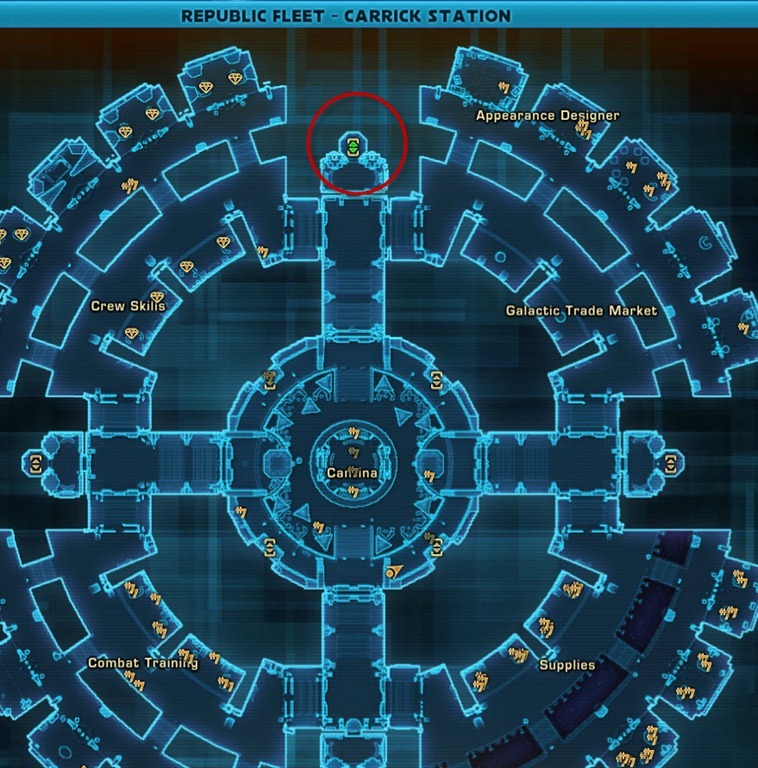 Dariana Frayus is located inside House Organa not too far from the spaceport. 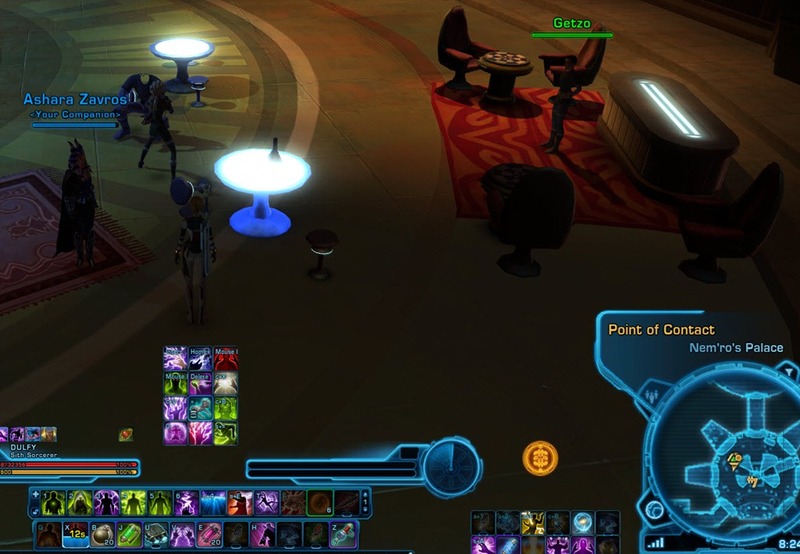 These Shady Characters inside the Shinning Star Cantina not far from House Organa, which have 3 floors. 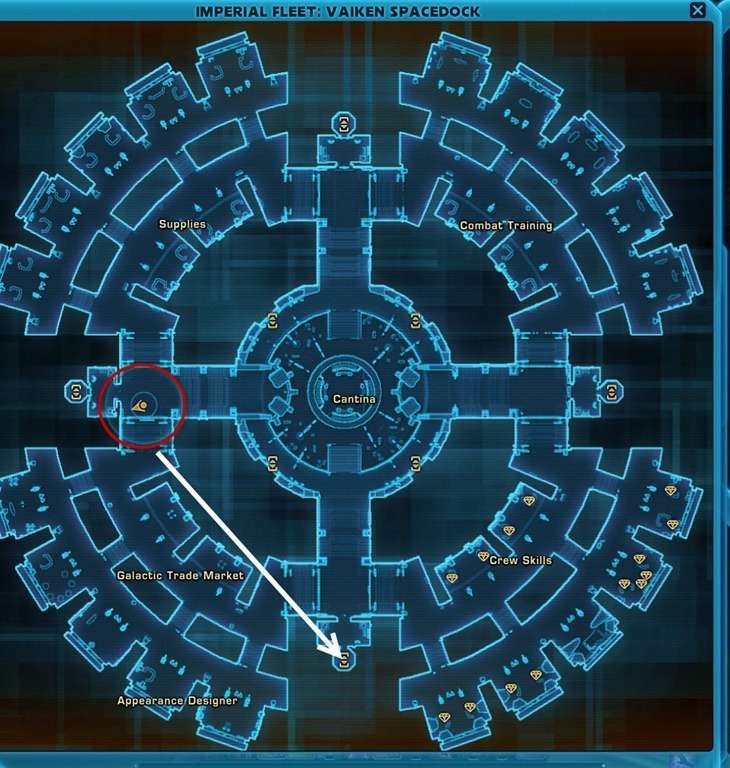 There are also two Shady Characters outside the cantina that are not marked. 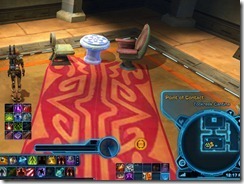 Head to inside the cantina and click on this interactable table called Point of Contact. After a short conversation, you will progress to the next step.You will be given a green BBA reputation item as a reward. The contact you meet is random and there are at least 5 NPCs you can encounter all with different dialogue options. No havn’t seen it yet. 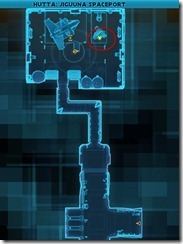 If you use your interrogation probe and runoff to another one out of range of the first you either get the info normally or if they agro they just stand there. Their nameplate goes red but as they just stand there you can one shot them and no armed thugs spawn. 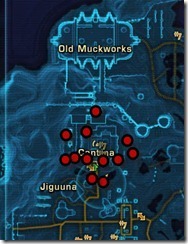 Weird thing is i’ve been doing this for days and I always get underworld information from them. I expect they’ll fix it at some point. Ah ya I have done it a couple that way. 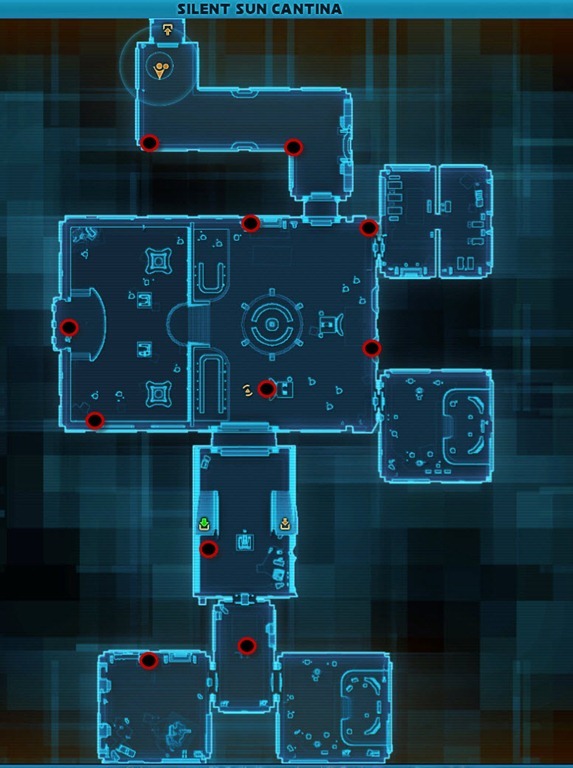 Don’t think it is really an exploit tbh, just broken game mechanics. Not like the armed guards do anything. Hmm, I can’t seem to locate the “Captured Bounty” thing to click on. that explains it. I wish I could read. 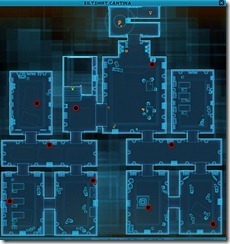 Is there a difference between the capture or kill version of completing a contract? And different light/dark side points, perhaps ? 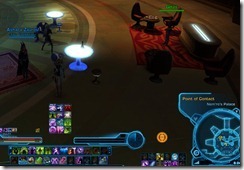 Or is that entirely determined by whether you use drinks or probes ? What do you mean? You can unlock a Kingpin mission everyday with 5 characters but you are far from done. There are 8 Kingpins to unlock and tons of reputation to grind. 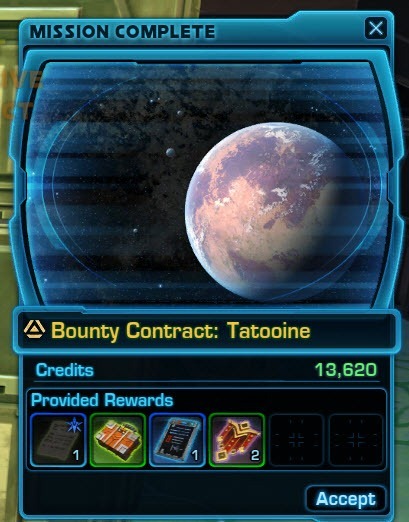 Right but I mean doens’t it only 5 of the normal contracts to unlock it for an entire account or does that have to take place on all toons I planned doing everything on everytoon I have but that’s the one thing i keep forgetting is how it works exactly need to re-read the info you have posted up. Unlocks are for each character, not for your legacy. Alright. Thank you for that clarification I had thought it unlocked for all characters once you obtained the 5 contracts. It comes down to misunderstanding the unlock of one character getting the 5. Thank you for clearing that up. Glad I was going to do this with each of my 13 characters. 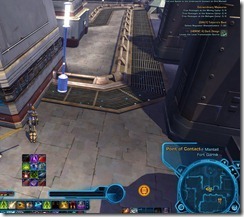 I can’t even talk to the guy on Ord Mantell. WTH? Guide was extremely useful as always. 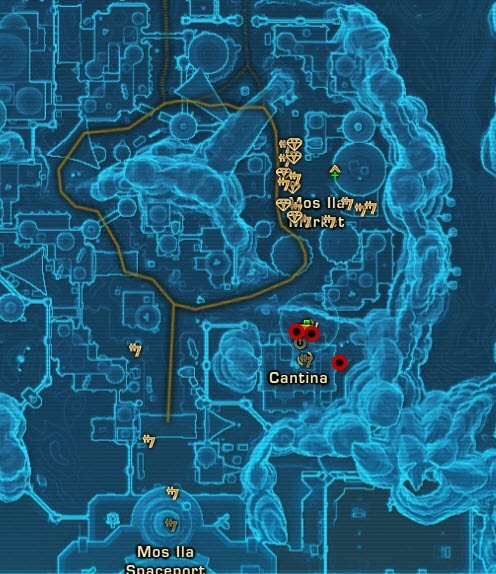 There were a few bounties on planets that didn’t have locations. 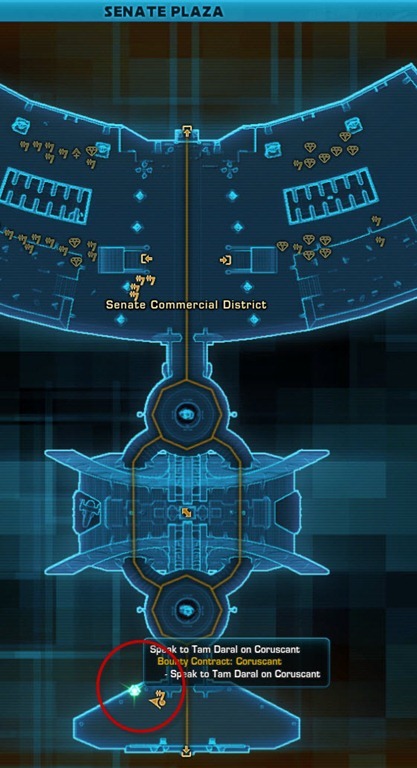 Will try and leave comments on location when I find them. 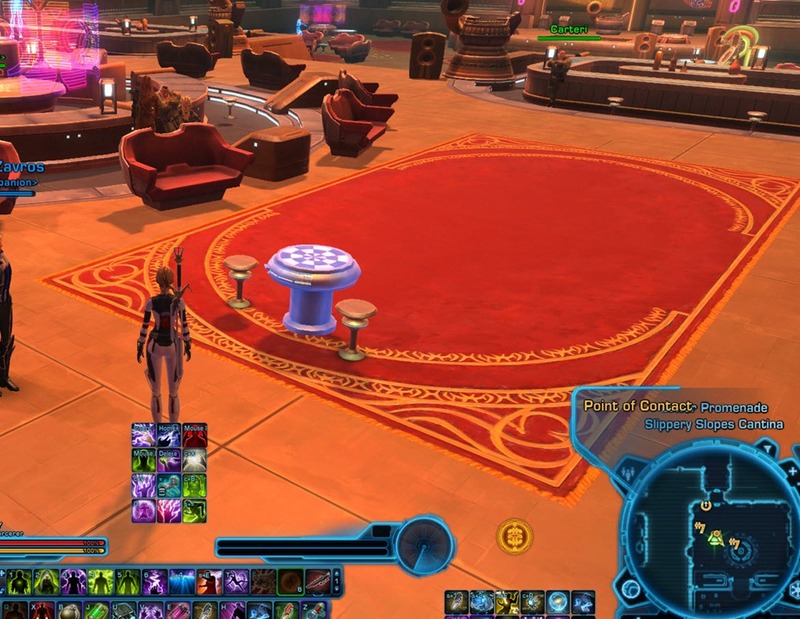 One of the Pub Tatooine ones is on the bridge between Salara and Outlaw’s Den but I can’t remember which one 🙂 I think Novane. 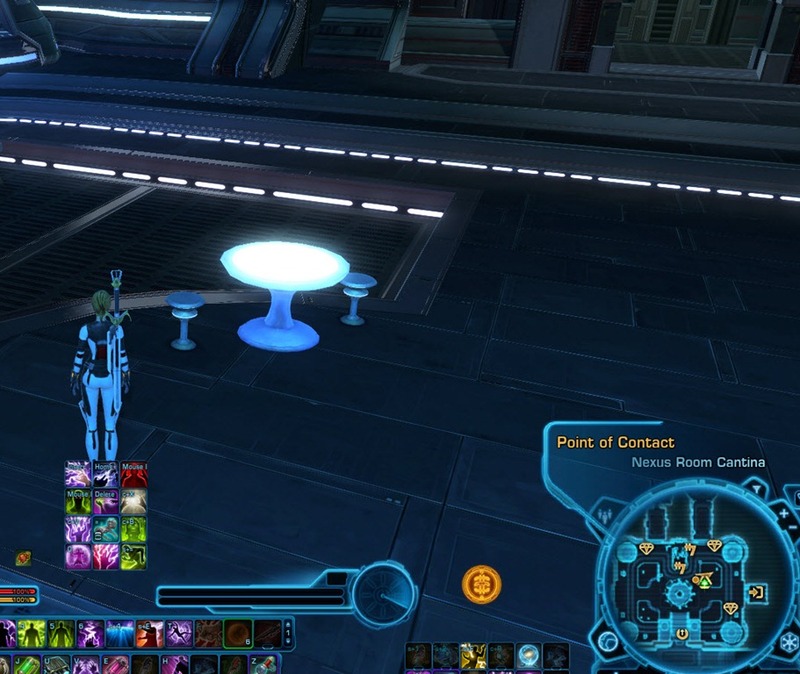 Dulfy I think you should put a caution on those using the interrogation droid. When the shady characters aggro, they are not tagged to you despite aggroing you. 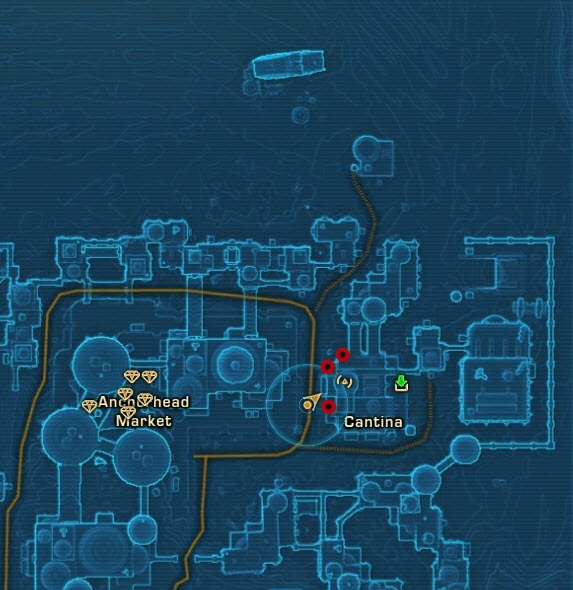 I’ve stolen at least 3 people’s shadies in this method and looted them for info. I think people should know they must stay to tag them. 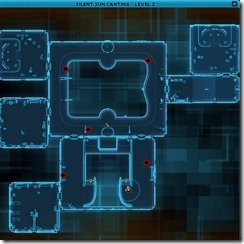 Dulfy, have you found a correlation between your Contact and the Target? I’m starting to see one myself; plus exiting the Contact conversation and restarting it re-randomizes the Contact. Don’t think there is one. 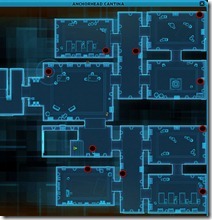 I have gotten same contact with different targets before or different contacts w/ same target. 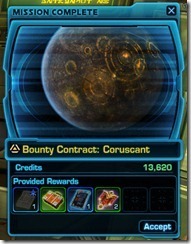 The rewards for the Kingpin contracts being almost the same as the Henchmen contracts, wouldn’t it be more advantageous to just do the Henchmen contracts and sell the completed bounty contracts? It seems to me they should have made the rewards greater for the Kingpin contracts. Opinions? I’ve seen people selling the completed contracts for 25-35k. That’s not worth the effort. They must be desperate for credits. I think I’ll just have fun with the Kingpins. 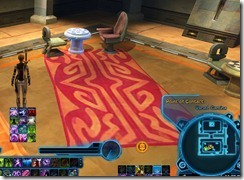 The Henchmen “boss” fights you have listed are for the DK fight (Zinda Kent) is for DK not Tatooine. 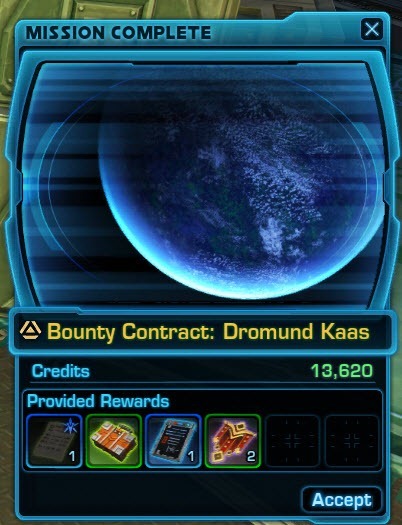 I can confirm that if you reset the Bounty Contract mission, you can get a different henchman. I kept getting “Kill or Capture Zinda Kent” so I finally got frustrated and reset the mission. Ended up with Sogan Sur. 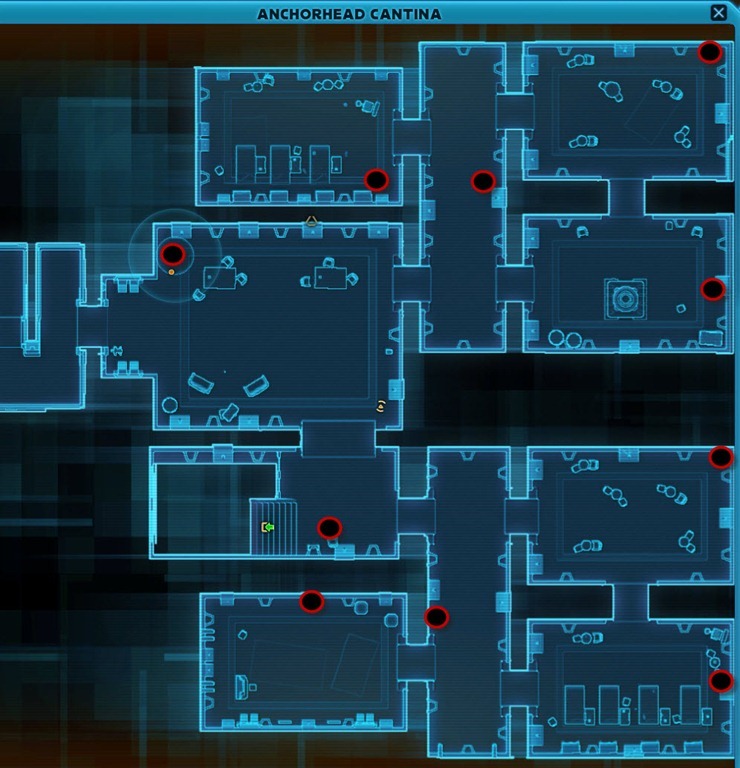 Takes a while, because you have to re-interrogate all the shady ppl, but it IS possible. 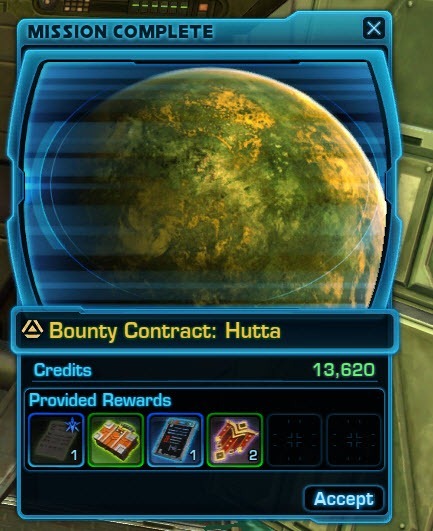 Confirmed, The Bounties are not linked to Planets they are linked to the NPC you interrogate. 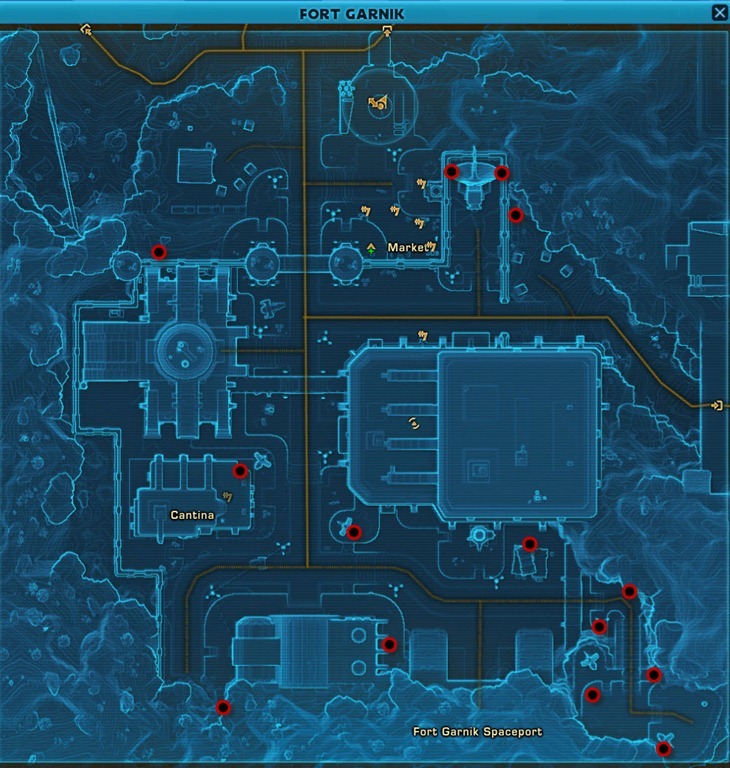 If you interrogate Marco Zarik you get the Kar’wa Bounty and so on. Will get the full list up asap but you can get all 8 from any planet. 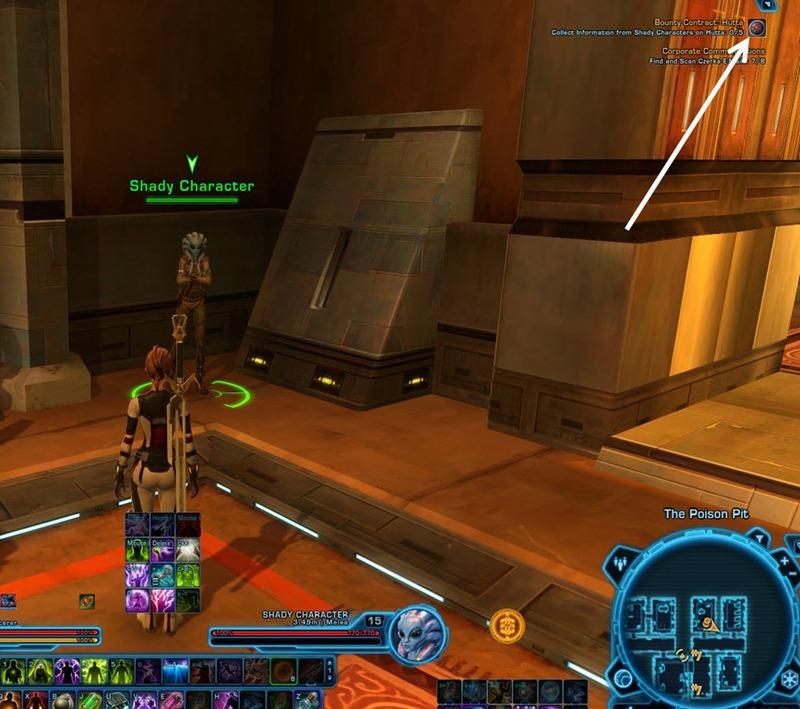 think it’s random even with the NPC, the twi’lek has given me 3 different targets. 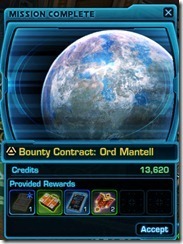 I have however, gotten nearly every bounty from just ord mantell and coruscant. 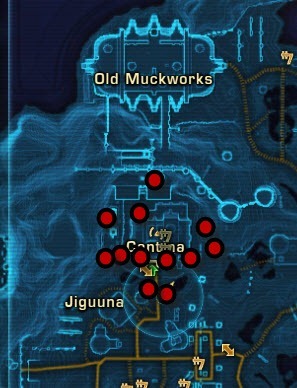 They are not linked to the contact NPCs and no you cannot get 8 from a single planet..
For achievement hunters I’d recommend making a note of which contact spawns which henchmen. 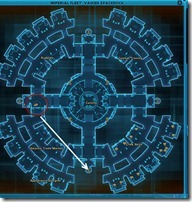 From what I’ve seen it’s not random, so for instance Kelia Freen (smuggler type chick) will always give you T’rubba on Ord Mantell and Sogan Sur on Coruscant. Can anyone confirm that Udo Ench actually spawns on hutta/Ord Mantell, Nar shadda and tatooine? i have never gotten him and i have farmed it to hell and back. What ^ said. Helps to be 2 ppl, so one hunt shadies and the other does the talking. Did you check the list of planets D3-X could spawn at? 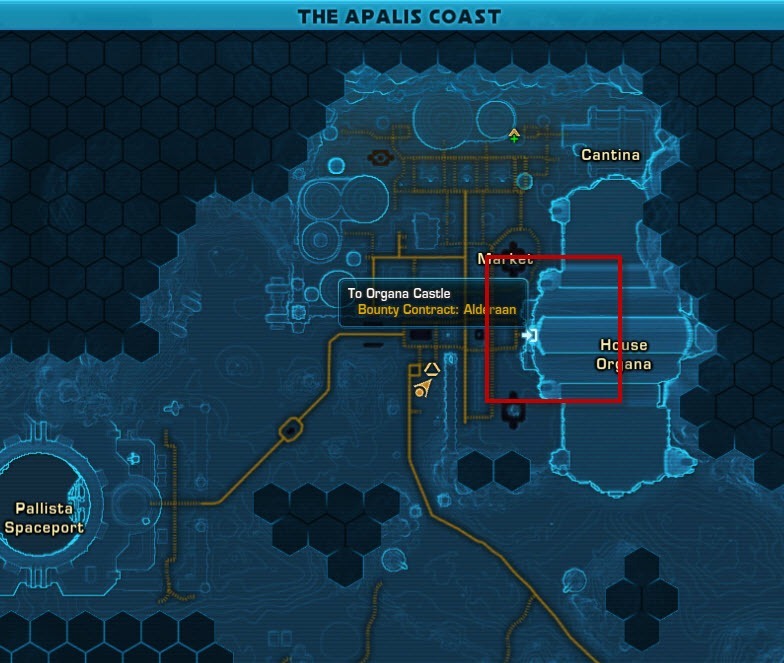 It is purely random and there is absolutely no pattern with the contact NPCs. I’d recommend against walking away from a Shady Character after you use a drink or probe on them. 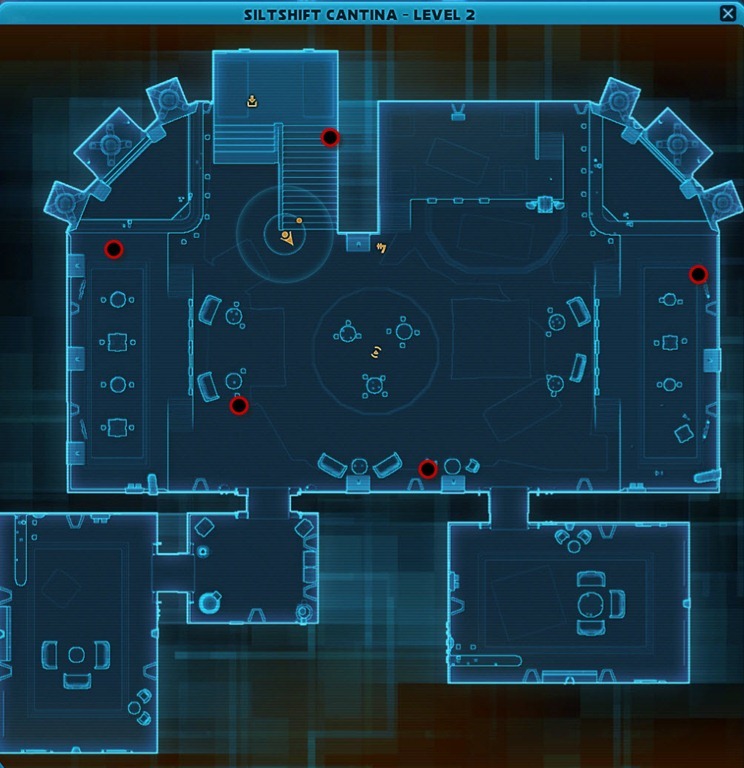 If they turn hostile on you and you are not nearby for them to auto-attack or initiate the attack, they will just stand there. 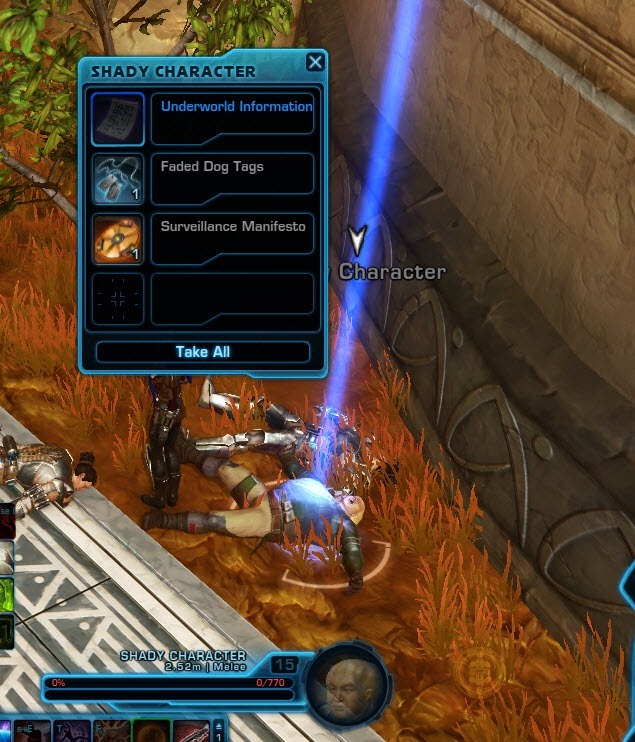 I saw someone run away from a shady character before it went hostile, I happen to run up and got attacked, so after killing it I got the underworld contact item, not the guy who did the questioning. 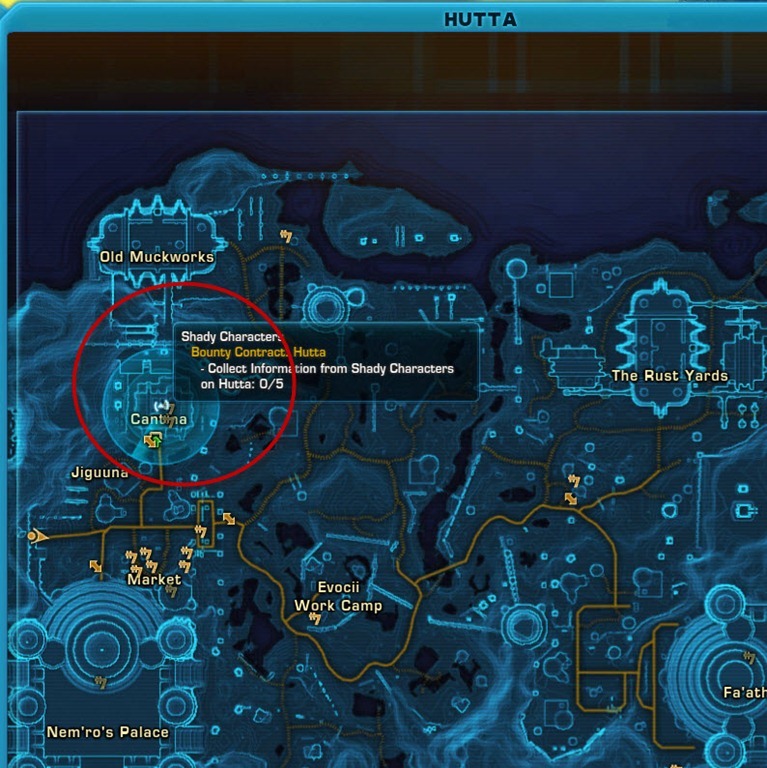 Its absolutely silly random… tried 30+ times today (resetted quests) to get udo ensh – nothing. Just dont want to play this event again. But plenty of trubba, d3, novane, and some people dont found them! I killed him today and capped him today on different toons. 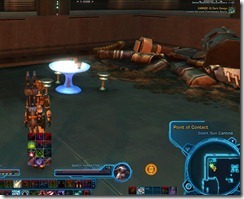 Jedi Covenant Server. Oh, I had the same issue. Luckily, I managed to get him a second time, but that was only once. 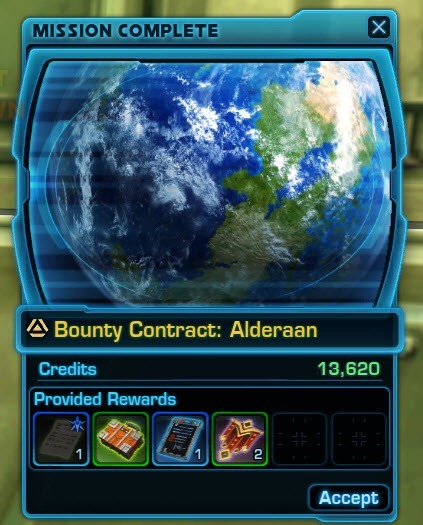 Ouh man..I reset Alderaan 10 times.. for last one. 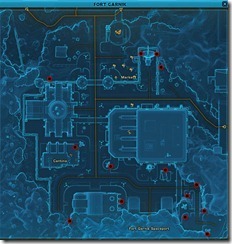 Sogan Sur.. is the fastest way for reset on Imp side:/ but still nothing.. 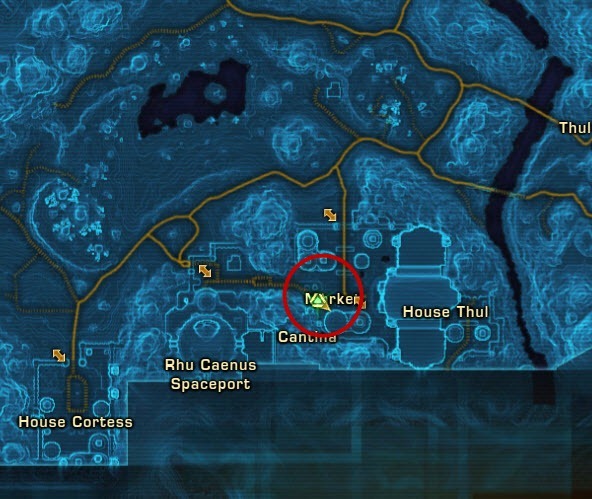 I took Dromund Kaas mission, but when I go on waypoint of Officer Manus, NPC is missing :/. 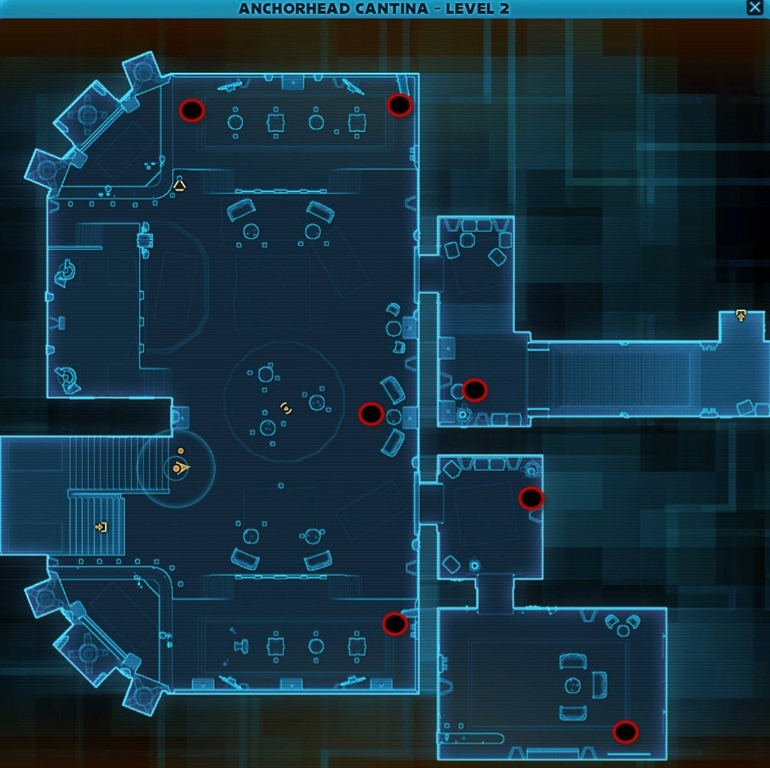 Would really help to have a grid cross referencing each planet, and which lieutenants they’re capable of spawning. It doesn’t seem that all of them can spawn at every location. i cant find D-3X anywhere.I am done with all(kill and take alive) except droid. :S any idea ? He shows up most often on Alderaan, I’ve found. 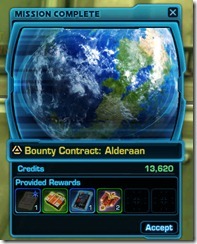 It’s partially random, so no guarantees, but if you keep resetting the mission and hitting Alderaan, you should find him sooner than later. Be careful fighting him on the bridge. 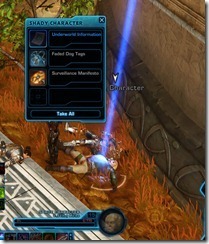 Are the Shady Characters more likely to attack if you use an Interrogation Probe on them rather than a Friendly Drink, or is it total RNG? It seems my Darkside guys get jumped a lot more often, but maybe I’m just imagining it. 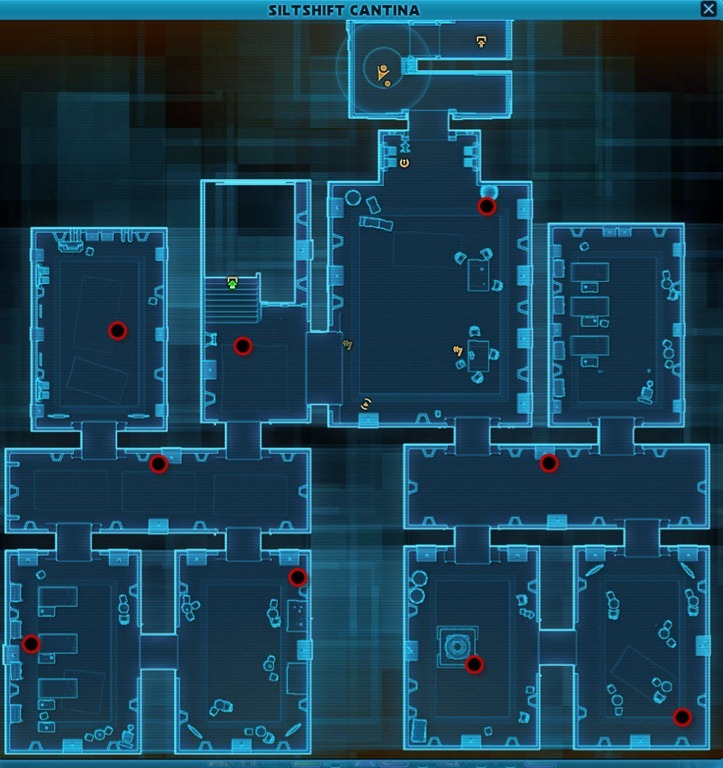 Hello guys, i hope this toppic isn’t closed yet 😉 I have one little problem: i have access only to 5, not 6 misson locations – i can’t pick missions on Hutta. Can You tell me why? Hey! HuttaOrd Mantel daily missions are only avaible for characters below level 27.
is there really a reason to do any perticular planet anymore since all the hinchmen are all on the planet. 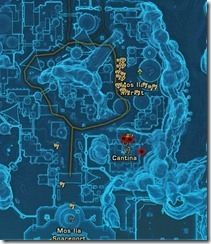 I need to make level 15’s on both sides to do Hutta/Ord. I have all the henchman achievements except for T’rubba. I’ve never even *seen* T’rubba. I seem to get Zinda Kent and D-3x often enough though. I just got T’rubba on Nar Shadaa. Fifth visit today. 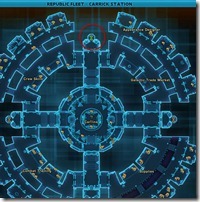 Nar Shadaa: beacon G-77/Novane (republic) is in Shadow Town. 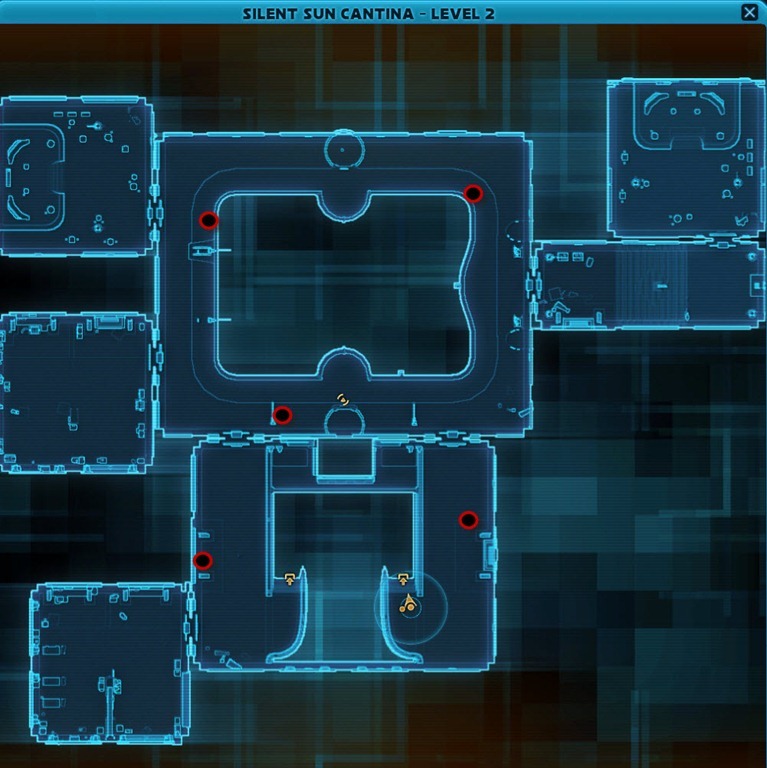 Quickest to just QT shadow town. 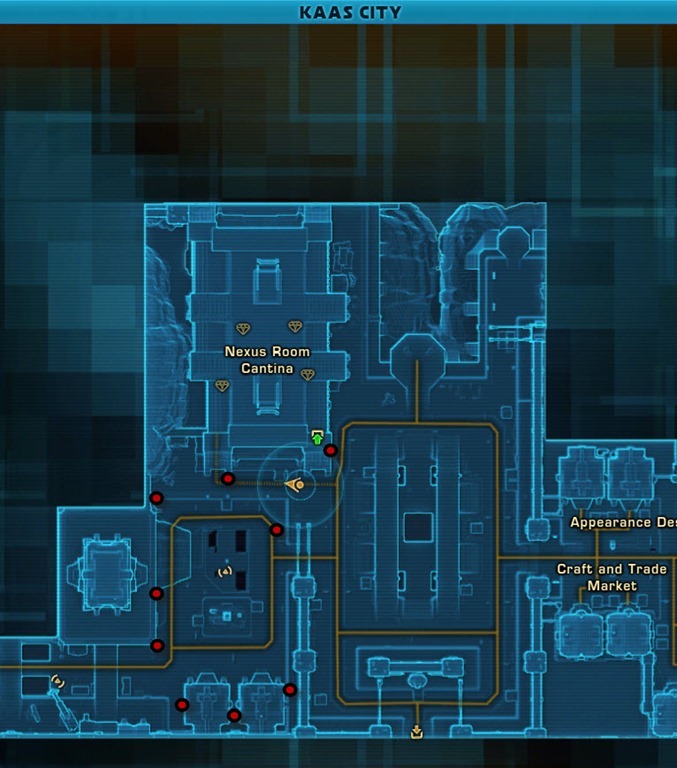 Nar Shadaa: beacon C-73/Aja Novare (Imperial): Upper Industrial Sector. QT Imperial Special Ops Center. 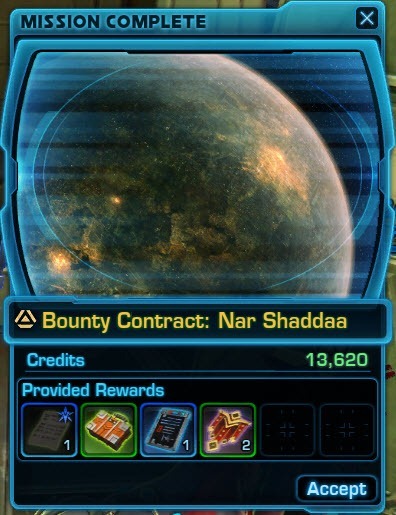 Spent a lot of time trying to find T’rubba on Nar Shaddaa. Turns out there are 3 floors there and he’s on the top one (follow the slope up). Just in case someone else runs into trouble.